Perhaps you feel that way from time to time. You get stuck in an unfulfilling job. You get stuck with a mortgage you can barely pay, in a house that didn’t make you any happier than your previous home. You get stuck in a negative relationship. And you wonder if things will ever get better. James Altucher knows the feeling well. 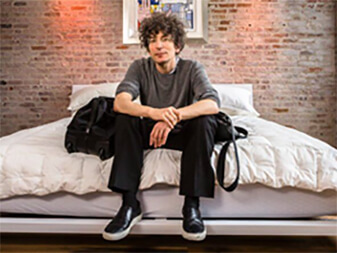 And in the latest episode of The James Altucher Show, he shows you exactly how to get “un-stuck” by making your negative life experiences work for you instead of against you. The type of unconventional ideas you’ll hear on his show made James a millionaire… and many of his guests have done the same. Dr. Wayne Dyer has seen plenty of obstacles in his life… but his attitude and belief in the power of self-reliance have earned him the title “father of motivation” by his fans. His first book, Your Erroneous Zones, was not only a New York Times bestseller, but it sold more than 100 million copies in 47 languages… and was even smuggled to readers living behind the Iron Curtain of the 1980’s. James and Dr. Dyer explain why getting “un-stuck” is so important. From how to side-step fights with your wife… to avoiding the most common regret of the dying… Dr. Dyer’s advice is well worth listening to. We’ll be the first to admit this was an intense show. But Dr. Dyer is one of the most inspirational speakers in the world… And when combined with James’ fascinating, original take on the world…the result is riveting.